You want to know a rally that wasn't supposed to be happening, the surprise insurgency of 2019? It's the semiconductors, the group we featured just a few weeks ago in an off-the-charts segment suggesting that we could see a monumental break out in the group. That's just what's happening. The group just keeps going higher and higher without really even much support from the street. Perhaps that comes after the largest part of the move has occurred. I think the reasons for the advance have their root in the explanations for the decline. First, the street turned too negative last year, particularly in the December bear market, as we saw estimate cut after estimate cut and downgrade after downgrade because of some notable shortfalls in Texas Instruments (TXN) , Micron (MU) , Advanced Micro (AMD) , and most sharply, Nvidia (NVDA) . There was a belief that every single end market was slowing, not just cellphones anymore. Both gaming and the data center had paused, two of the great trends of the era, two that were about as unexpected as back to back eclipses of the sun. Second, the trade war brought about two crucial concerns: the slowing of Apple's (AAPL) sales in China, and the freezing of takeovers that had been integral to the valuations of stocks like NXP Semi (NXPI) and Qualcomm (QCOM) , especially with Broadcom (AVGO) endlessly on the prowl. The sudden switch of Broadcom to buying a software company, CA, was a fitting coda to the end of consolidation. Third, prices for two key commodity chips, DRAMs and NAND were in freefall. For the longest time DRAMs had stayed buoyant, but they joined NAND, also known as flash, in the fall and can't find footing. Now, though, it's dawning on sellers that the street got too negative on the group and even when weaker numbers were reported the stocks bounced. While gaming may be weaker, it's clear that the data center's much stronger than the bears believed. Plus, if the trade war goes away, or, even more important, if Trump triumphs, this is THE group people want to own and there seems to be a lot of gun jumping to that effect. That's how an Intel (INTC) could go up on a weaker quarter. The same thing goes for the stock of Nvidia which is now substantially higher than its preannouncement to the downside from earlier this year. Yes, it's true that there's no real respite to the decline in the commodity chips. However there is an all new reason to buy some of the stocks in the group: the coming of 5G. Hardly a day goes by now when we don't hear about the new phones that will sport 5G with its lightning speed downloads that will enable so many more features to happen that we haven't even dreamed of. Right now, we know that Xilinx (XLNX) is the company with the strongest 5G lineup, hence why its stock is one of the best performers of the year. But there are others that could be swept up, too, of which the most obvious is Skyworks Solutions (SWKS) , a stock that's hitherto been linked only with Apple's misfortunes. They seem baked in with that last quarter. The upside from 5G, however, is certainly not yet in the stock. Everyone I know keeps waiting for a pullback. We've been waiting for one to be able to buy more Lam Research (LRCX) . You hardly ever get one, though, and when you do, it's seems to last as long as a blink of an eye, as it did with a downgrade just last week on valuation. I think the group still has legs, especially if there is any sort of China deal. More important, it's the group to buy every time you hear that trade talks might falter simply because it has much more going for it than just China or cellphones, and that's just beginning to dawn on those who still haven't chosen to be involved. 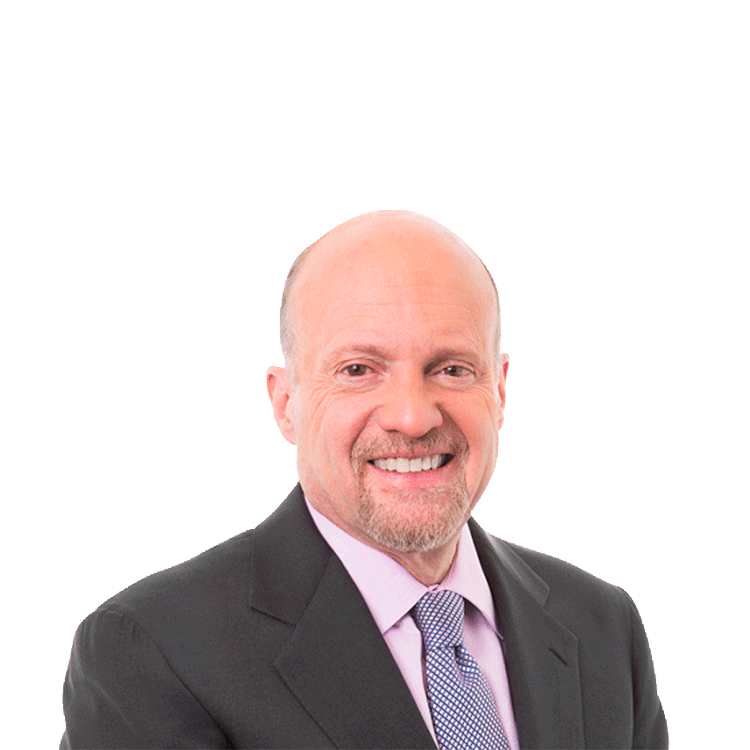 Action Alerts PLUS, which Cramer co-manages as a charitable trust, is long Apple, Lam Research.